Cabaret Boom Boom series of events at the Medway Centre Bakewell, kicks off with the 3 regular comperes, Maynard, Herbert and Lodge, hosting a unique comedy line up. A rare chance to see this highly acclaimed outfit attempting their one wheeled maneuvers on a small stage. Captain Bimble takes his 'Boys' through their paces with new and exciting manoeuvres. 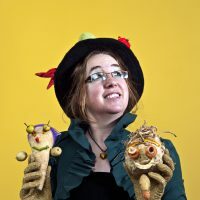 They promise to serve up their latest adventure. 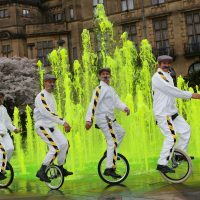 The 1st Yorkshire Unicycle Display Team has been seen at the Tour De France Grande De Parte, Tour de Yorkshire and The Aviva Women's tour race.